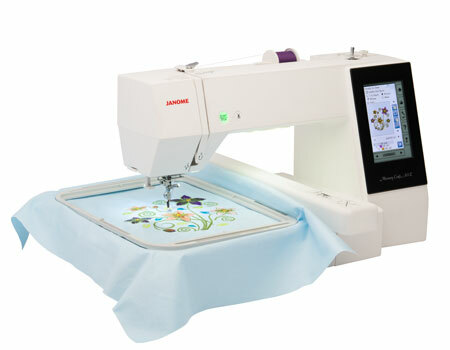 Now designers can create projects to reflect their personal sense of style with the Janome Memory Craft 500E. It’s easy to personalize, embellish and monogram home décor items, garments and accessories. 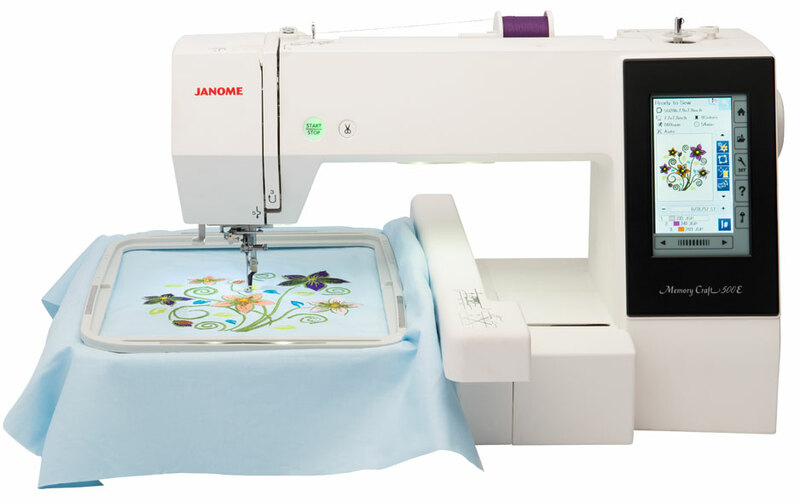 With 160 built-in embroidery designs and 6 fonts for monogramming, the possibilities are endless. The MC500E has a maximum embroidery size of 7.9”x11” and it comes with 4 embroidery hoops; RE28b 7.9″ x 11″, SQ20b 7.9″ x 7.9″, RE20b 5.5″ x 7.9″ and SQ14b 5.5″ x 5.5″ an extra wide table for expansive workroom.